23rd INCOFYRA - Yoga Research Conference : Vydya Health - Find Providers, Products. 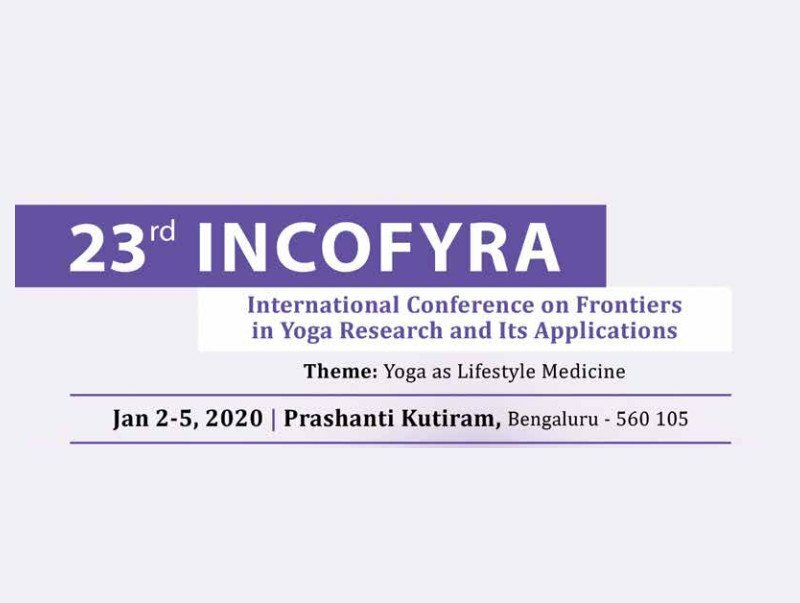 The “23rd International Conference on Frontiers in Yoga Research and its Applications (INCOFYRA)” will make an effort to integrate Ayurveda, Naturopathy, Yoga, Unani, Siddha, Homeopathy and Modern Medicine by bringing prominent researchers and doctors from all these fields under one platform to evolve better cancer care. Currently, management of Non-Communicable Diseases (NCD) has become an enormous challenge to the medical fraternity worldwide. It is increasingly being recognized that NCDs are multifactorial problems and therefore the solutions to these have to be multi-faceted. Evidence based approach is of utmost importance to provide the best possible care for the patients. The conference theme “Yoga as Lifestyle Medicine” will make an effort to integrate Indian medicine and Modern Medicine with Yoga as basis for integrative medicine by bringing prominent researchers and doctors from all these fields under on one platform. The focus of 23rd INCOFYRA will be on reversal of Diabetes and Heart disease with Yoga as lifestyle intervention.